Americans have a right to secure borders, especially in an era of anti-American violence. We have a right to reasonably regulate our immigration policies. We have a right to exclude criminals from our country and to protect the financial health of our public institutions and services. We have a right to verify foreign visitors and guest workers, and to expect their compliance with the law. But most undocumented immigrants in the United States – the vast majority — never commit a violent act, have no desire to undermine the common good and contribute productively to American prosperity. Thousands of farmers and businessmen rely on their services. The life many of us enjoy depends, in part, on the labor of “illegals.” Taking advantage of their work, and then blaming them for being here, is a uniquely unworthy form of doublethink. For Catholics – who belong to a Church that supports the fundamental right of every person to migrate to seek a better life for his or her family, and who themselves were disdained as “outsiders” for much of American history – anti-immigrant resentment is especially wrong. The United States has a right to press for the kind of legal and economic reforms in Latin America and elsewhere that would help stabilize the flow of workers back and forth across our borders. Hypocrisy in the immigration debate is not a monopoly of the north side of the Rio Grande. But we’re not licensed to mistreat anyone in our midst, whether they have papers or not. People derive their human dignity and their rights from the God who created us all – whether others find their presence convenient or not. We need to remember that in the months ahead. First, a path to citizenship for undocumented workers that’s fair, accessible and achievable in a reasonable timeframe. Second, reform of the family-based immigration system to reunite husbands, wives and children in a more rapid manner. Third, a program that would allow low-skilled migrant workers to enter the United States legally as needed labor. Fourth, due process protections for immigrants. And fifth, policies which at least begin to address the root causes of migration, such as economic inequities and persecution. Congress adjourned for summer recess on August 2. It won’t reconvene until September 9. The Senate passed a major immigration reform bill (S. 744) on June 27, by a vote of 68-32. The House of Representatives will likely take up the issue in September or October. Unfortunately, some House members have committed themselves to blocking almost any serious new reform legislation. That would be more than a political error. It would be a bitter human tragedy. Immigration is an issue where committed Catholics can legitimately disagree. But real reform of our immigration laws is long overdue. We need to act now. And the five key legislative elements sought by America’s bishops make good economic, political and human sense. During these weeks of summer recess, I ask Catholics across our archdiocese to consider and pray about the immigration issue. And I hope many of us will contact our federal representatives to press them to vote for the kind of deep immigration reform we so urgently need. Contact information for Pennsylvania congresspersons can be found through the Pennsylvania Catholic Conference at https://www.votervoice.net/PACC/Address. Mexicans need to stay in MEXICO if that nation is to ever fix their major internal problems of crime, corruption and despair. Good Christians never run away from their problems. It is wrong to allow mexicans to run to the USA but refuse many others more deserving individuals from Asia, Africa, Europe, etc. America can NOT be the ‘safe house’ for the whole world. Once again, the Roman Catholic Church is being used by the bad Left Wing Political elements to push a hidden political agenda down our throats. Please help stop priests, bishops and other liberal members of our Catholic Church from being misguided Left Wing Political Agents in America. Keep BAD far left Politics away from Church teachings !!! The Gang of Eight’s bill is over 1000 pages long! Have all the bishops read it or do we have to pass it to know what is in it? Washington is broken, our county is broken and we are fiscally broke. We are in for very rough water and this bill will only worsen the situation. I support legal immigration and am also pragmatic to know we have to address the issue of the illegals already here. Why should we reward people who broke the law to come here with citizenship? Why not give them legal green card status but save the privilege of citizenship to people who followed our laws and procedures? Our social welfare services are overwhelmed. I could support an amnesty that precluded the illegals from access to social welfare programs. Let private charity like the Church offer support. I have no malice toward illegals, I count a few as dear friends and if I were in their situations I probably would have tried to come here as well but I would never expect much less demand to be rewarded for it. Our Archbishop is absolutely correct. Notwithstanding the reservations (and objections) stated above, the immigration program proposed by the Bishops is a simple matter of Christian charity, nothing more and nothing less. After all, Christian love- love of God and love of neighbor- is the principal to which all other considerations are subordinate. If we are Catholics, such things as border control, willingness to work for less than competitive wages, procedural matters etc. etc. fade to insignificance in the face of the injunction to love. This is our faith. Common sense should not “fade into insignificance.” Why you are doing something is important; but HOW YOU DO IT also counts. When you act recklessly, you are responsible for the chaos you cause, and the tragedy the chaos contributes to. Wrapping it in the mantle of “LUUUVVV,” does not cut it. Further more, I will bet you have no kids. “Willing to work for less than competitive wages?” If you make it harder for people to hold body and soul together, your “let’s all float along on a Christian cloud” makes you a really harsh taskmaster. A lot of the pressure for people to come into this country illegally is from employers who want to pay less than the minimum wage to their employees. If the penalties for that behavior were sufficiently severe and they were likely to be caught, they would quit. There are plenty of Americans who would be more than happy to do the work “no American wants to do” if it paid enough to live on. Why allow other people to come into this country to work when our own workers can’t get jobs, just to keep wage rates down? I’m a member of the working poor, and it infuriates me that a full time worker in this country doesn’t make enough to live on and we’re bringing in more people to compete for the few working class jobs there are. My friend – legal US Citizen – has been having hard time with finding a good paying job. He has a family, does not commit violent acts and wants to contribute to prosperity. He’s been working as a construction helper and learning various trades. One day he says to himself: “I want to better myself and provide a better life for my family. I cannot do it on my $10/hour that I’m getting paid as a helper so let me put my knowledge that I gained to work.” Since he picked up a lot of knowledge about doing electrical work he starts doing it on a side. However, instead of charging $30/hour as regular electricians do he charges only $20 – thus getting a lot of jobs. He never bothers getting a license – since he knows how to do all the electrical jobs anyway and getting a license would take a long time and expense. 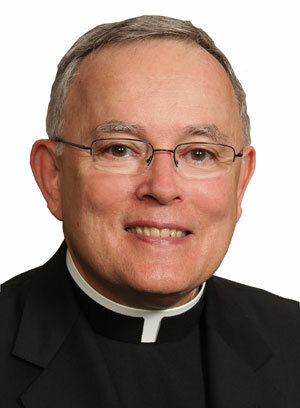 I would be curious how would Bishop Chaput handle my friend’s situation. He is living a good life, not committing violent acts, helping his family, saving his customers money. However, despite all of these good things he is doing it illegally. Should we, as Catholics, feel bad for him and support him? Or should we encourage him to get proper schooling/license? I would think the latter is the proper way and he should not get any preferential treatment in getting his license – on the contrary, he should pay a fine first and then be allowed to obtain his license. I don’t believe that just because a life in one country is better than in another that people should be allowed to go and live in it without following rules. Even if it takes years to obtain legal status that should be the way of doing it – I did it as well as millions of legal immigrants here and in other countries. To justify and feel bad for a person that got into a situation by not following rules does not seem to be the right thing to do. Just like Jesus tells us in the parable of Ten Virgins waiting for wedding. Five of them were foolish and did not follow the rules or common sense – did not bring extra oil. Then, when their lights were needed, the other five did not share their oil with them – and were praised for it…. My heart has always gone out to those in dire need. I have personally supported the poor of many countries for decades, given to the Church to support those in need and worked hard to assure that I tithe for my parish and the Church. Now I have the hierarchy of the Church telling me what my position needs to be on people coming to this Country illegally. The Church should be demanding that the border be totally sealed period and then they should address immigration reform. I remember in the 70’s working with people who were here illegally and sending money back to their families in another country. Those jobs could have been filled by people in need born in this country. Here we are 40 years later and this has not been resolved. It never will be because of the political ramifications. If you think that this will stop illegal immigration you are all foolish. My grandparents would have never broken the law to come to this country. What about the people who get green cards legally and want to stay year after year and then return to their home countries hoping to return? What about those who are awaiting in their home countries to come to the US? Shouldn’t they be put in the front of the line? I am tired of people trying to make me feel guilty that I do not support people who break the law. Now I have the Church doing the same thing. The fact is that the Nation is not benefiting from this immigration because these people know they can break the law to begin with and only live the lives they had in the old country wanting to change this Country. The Church does not encourage assimilation because they hold Spanish only Masses which detracts from parish unity. The Church has gone too far on this issue and will only disenfranchise those Catholics who have remained true to the Church we love. I have a hard time with the immigration just to legalized my stay here as a family related because I married a US citizen. The more I produce documents of my legality as a wife the more I am being treated meticulously by the immigration personnel. My suggestion to illegal people here, better stay in hiding. You earn more money than me who paid lots of money to immigration. Teresa might be able to soften her heart a little. Let’s say you are born into a Catholic family in Mexico; at age 16, you see that your parents, grandparents and little brothers and sisters just can’t make enough to live on. Yes, bad government there (and perhaps some ridiculous laws and customs north of the border too). You are healthy and hard working so you go to the US and work everyday, day jobs, casual labor, cleaning, selling flowers on the street, making homemade tamales to sell, you survive, maybe get a steadier job making lets say 24k per year, sending a thousand a month to support your family. You know that without the money you earn and send to Mexico your families cannot earn enough to live a decent life, go to school begin a business, etc. I cannot believe that if Teresa were in that situation that she would be so hard-hearted as to say: “They can reunify with their family at any time by simply returning to their country of origin.” I doubt that she’d go back to her country of origin and allow the family she loves to lose what little they’ve been able to acquire by her blood, sweat and tears. Am I right? With and estimated 40 million legal Americans out of work, many drawing unemployment benefits which working Americans pay for, one wonders whether the bishops compassion is misplaced. Certainly a farmer can pay an illegal $8/hour instead of hiring an American for $10 and our food prices at the store are a bit less, but when one considers the cost in taxes of putting idle Americans on the public dole, the savings are break-even at best. What Catholic would let their own children starve while inviting strangers to the dinner table? Thanks for such a thoughtful article on such a divisive topic. Undocumented immigrants are people and people have rights. It is up to us to insure that all within are borders are treated decently and with dignity. I have nothing but sympathy for people who come here seeking a better life for their family. Some of my ancestors came here during the Irish Potato Famaine. There wasn’t an issue of legal or illegal status back then. But I can tell you straight up; for these folks coming here for a decent life for their families, and who can only get here illegally: I would do exactly the same for me and mine- whatever it takes. I’ll call my legislators in support of the Justice for Immigrants campaign. Completely wrong. Ellis Island checked out immigrants thoroughly, sending back criminals and the ill, those who had no one to sponsor them, ect. It was very orderly. Order on the Border! I’m not sure how much committed Catholics can disagree. For the most part the people who come here illegally and slave away at low paying jobs are desperate for a new life. Who would put themselves through something like that unless they were desperate. As Catholics, if we do not love these people and then want to put that love into action, then I’m not what our faith means in concrete terms. My own grandfather came by steerage to Canada (I believe by mistake) and eventually family in New York got him across the border. I’m not even sure how he became legal. How could I reject someone in the exact same situation. In my view, the matter of illegal immigrants is a separate issue from the overall issue of immigration. Since the US didn’t catch the illegal immigrantrs in a timely manner and these people have perhaps started a family here, they should be granted a path to citizenship as a matter of fairness. On the other hand, as of some future date, ALL illegal immigrants should be caught and returned to their country of origen. I disagree on the family reunification as the basis for immigration reform. The illegal immigrant is the person who voluntarily left their family. A great deal of the problems with illegal immigration is the notion that reunification is reasonable. They can reunify with their family at any time by simply returning to their country of origin. My immigrant ancestors left their homelands with the knowledge that they would probably never see their family and friends again. It was their choice to so so. My Irish ancestors ran away, young and in love, to start an adventure that would last a lifetime. Their marriage would not have been approved by my great great grandmothers wealthy family. The wheat merchant’s daughter fell in love with the village blacksmith. America was an adventurous start to their life as a couple. My German ancestors arrived separately. My great grandfather established a farm in NE Kansas in an area with other German immigrants. He had a friend arrange a marriage between himself and my great grandmother. Grandma Anna arrived in New York a few days after the Lusitania was sunk by the German navy. It wasn’t a friendly place for an unaccompanied young woman, actually a teenager, to be waiting for her uncle to pick her up at the docks. Coming to America hasn’t been easy for anyone. There are personal costs. Rewarding illegal immigrants for entering the country without papers by easing the entry of their extended family and granting easier citizenship than to those who adhered to the immigration laws smacks of rewarding their illegal activity. I agree that granting the legal right to continue working in the U.S. is essential. Granting citizenship and family reunification on this side of the border is overly generous to those who have already shown a disdain for our laws. The points the bishops want in immigration reform are indeed good. However, the current government seems to actively not want to secure the border. Resistance to opening pathways to citizenship for people already here comes from this history. For example, an amnesty was granted in 1986 for illegal immigrants, with the conditions that the border would be secured. Once the amnesty was granted, the border was left open. Border patrol agents have been restricted from vigorously doing their job. States have been sued for trying to enforce federal laws that the federal government refuses to enforce. Employers have a difficult time determining if a candidate for hiring is legally present, the “e-verify” system is inadequate. One version of the immigration had a section stating that fencing must be built, with a later section explicitly stating that, notwithstanding that earlier section, no fencing needed to be built at all. With these kinds of things going on, there is a lot of distrust about what the government actually intends to do. Opening a pathway to citizenship with the border deliberately left open seems to be simply begging for trouble.